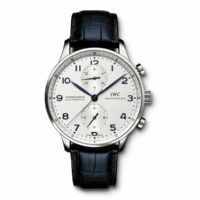 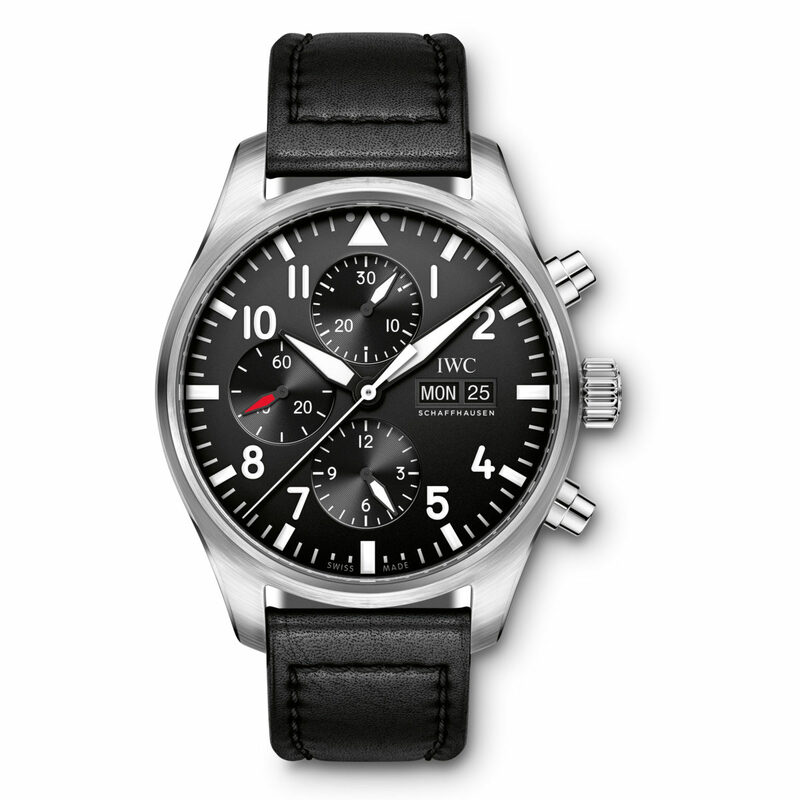 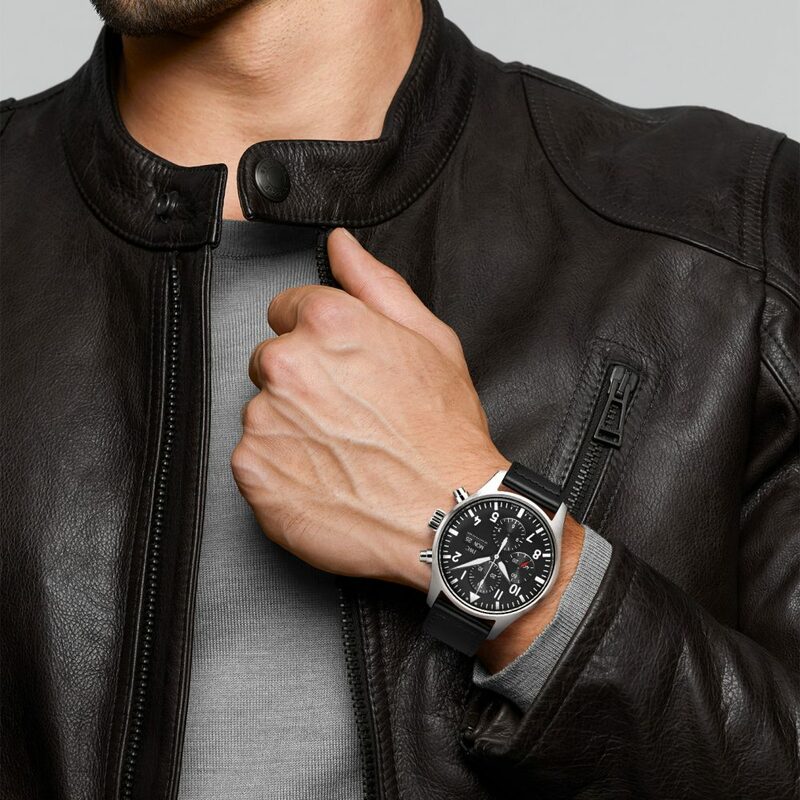 IWC Pilot's Watch Chronograph (IW377709) men’s watch boasts a 43mm case surrounding a black dial on a black Santoni calfskin strap with a steel pin clasp. 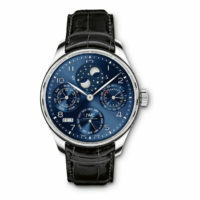 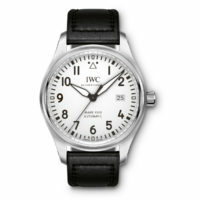 IWC automatic Caliber 79320 functions include hours, minutes, sub hacking seconds hand dial at 6:00, date display, day display & chronograph. 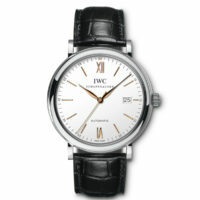 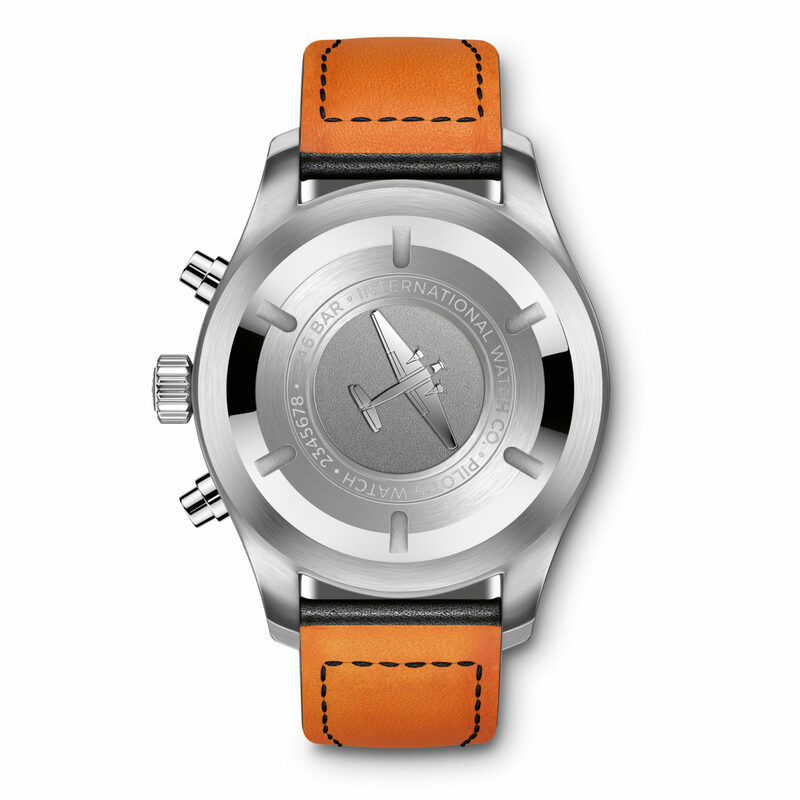 This watch features a 44 hour power reserve and is water resistant to 6 bar.